Congratulations, you are a grammar master! You have a superb understanding of even the trickiest grammar rules. Not only do you know the difference between affect and effect, but you also never confuse your tenses. You must be an English scholar because only 4% of Americans can get a perfect score on this test. Unfortunately, you did not pass. Don't fret, this test was incredibly difficult. Only 4% of Americans can get a perfect score. Study up on your singular/plural tenses and those confusing homonyms. You might just pass if you try again. . . 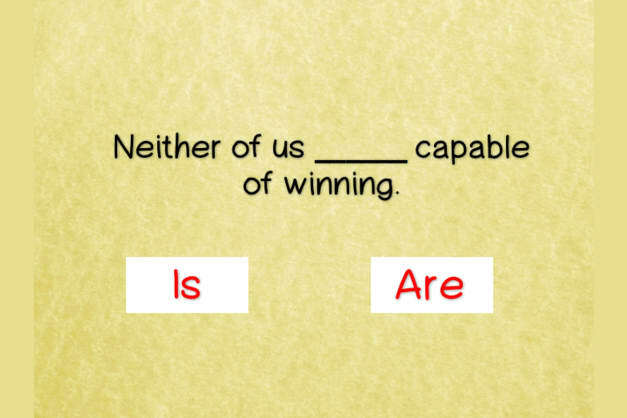 Prove you're a grammar master and pass this test!